The Smithsonian Folklife Festival takes place every summer, bringing amazing world cultural events to the National Mall! Every year has a specific theme and in 2018 they’ve been focusing on Armenia and Catalonia. Doubtless the Festival has done a great job in covering many aspects of these nations. But allow me to expand on their efforts! 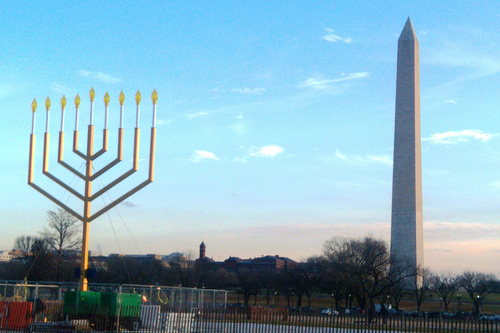 For the last few years, inspired by our local Folklife tradition, I have researched and brought attention to the widely diverse world Jewish communities. Jewish culture has touched almost every region of the world, and of course vice versa. So let us begin. The Jewish Armenian community dates back 2,000 years, since the destruction of the First Temple, according to the Jewish Virtual Library. In 69 BCE, King Tigranes II the Great brought 10,000 more Palestinian Jews as captives when the Romans attacked Armenia. Around 360-370 CE there was a Hellenistic influx that turned several towns predominately Jewish, though the Persian leader Sharpur II deported thousands to Iran. The community dwindled in medieval times, possibly becoming Kurdish. An ancient Jewish cemetery in the city of Eghegis boasts more than forty 13th century tombstones written in Hebrew and Aramaic. But by the 19th century, new Jews from Persia and Poland began immigrating to the area. Numbers spiked again around World War II when Armenia was under the Soviet umbrella. Wartime population was around 5,000, and then 10,000 in 1959. Armenia was more liberal than Russia or Ukraine, so Jews of the intelligentsia, military and sciences came between 1965 and 1972. Antisemitism saw a recent spike at the turn of the 21st century, with a conflagration of ultranationalist hate speech, television broadcasts and Holocaust memorial vandalism, as covered by Radio Free Europe/Radio Liberty. Otherwise, antisemitic incidents are relatively minor. Israel and Armenia have diplomatic relations, but neither has an embassy in the other country. Assimilation and intermarriage are big in Armenia, and current day Jewish numbers are under 1,000. Also, more than 6,000 Jews immigrated to Israel during the final years of the USSR. Almost half of the population now resides in the Armenian capital, Yerevan. 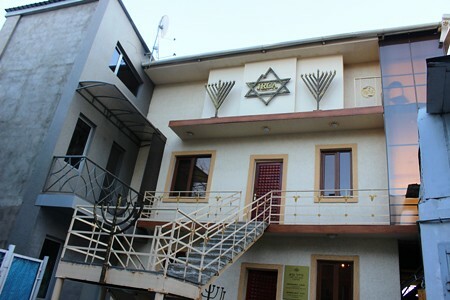 That city and two others have Jewish community centers, including a Chabad House that opened in 1995. It’s Rabbi, Gershom Meir Berstein, is the only rabbi in the country, though his organization is helping to provide kosher food. In 2002, Rimma Varzhapetian became the president of the Jewish community. The Armenian government provides a state-sponsored weekly television show about Jewish and Israeli culture, and they’ve retrieved some Torah scrolls that were taken from the community in the past. Most of the current day population is Ashkenazi, with smaller pockets of Georgian and Mizrahi Jews. Jews started settling in Catalonia, a northeastern region in Spain, in the 8th century, according to the Jewish Encyclopedia. For a time they lived under the king’s protection, but the clergy gradually gained control and rights were reduced. Though they were allowed property rights, in 1068 and 1078 it was decreed that they had to pay a tithe to the parish where their lands were situated. Jews had to take oaths to Christians but never the other way around, and Jews couldn’t be admitted as witnesses against Christians. Forced conversions were a popular ideal in medieval times, and Jews were often targeted during the Crusades, despite a chastising letter from the pope. Like in the rest of the country, Catalan Jews were expelled in 1492. The Jerusalem Post reported that the Jewish Spanish community was divided on the issue of Catalonian independence. JTA published a list of four Jewish things about modern-day Catalonia. For a historical take, check out the book A History of Jewish Catalonia: The Life and Death of Jewish Communities in Medieval Catalonia by Sílvia Planas and Manuel Forcano. This was also the heyday of a defunct Jewish language, Judeo-Catalan! The Smithsonian Folklife Festival continues until July 8. Check out my past coverage of Jewish life in unique places under the “Annual Events” tab. This entry was posted in Social Events and tagged Jewish Education, Jewish History. Bookmark the permalink.